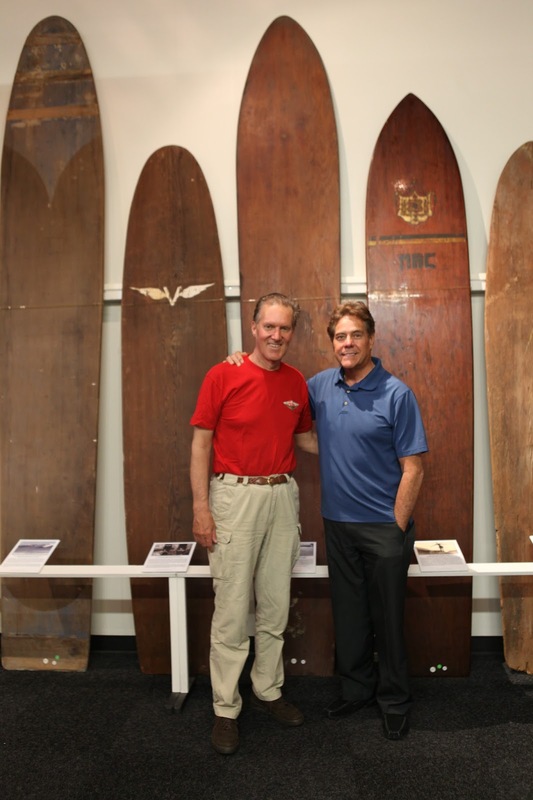 I am not sure of the exact date when I first heard about Surfing Heritage & Culture Center. At the time it was still the Foundation and it was probably 10 or 11 years ago when I was at Doheny for a Longboard Collectors meet. While touring the facility I was struck by the rooster of the Founding Members and wished that I had been a part of that effort. I was most impressed with Butch Van Artsdalen's presence on that list and quickly realized that the Surfing Heritage Foundation struck a cord with surfers from all walks of life: from Cecil Lear, one of the founders of the Eastern Surfing Association, and now a retired New York City executive from the publishing world to Butch Van Artsdalen, a saver of lives as a lifeguard in Hawaii and one of the greatest switch foot surfers of all time. Surfing Heritage has grown in all the right directions. I believe this is because the members recognize its importance to the surfing culture and community, and are mostly humble in their support and service. I bodysurf with Cecil Lear every morning when we can get together during the summer. We often discuss the importance of being connected to the West Coast through our bond with Surfing Heritage, as well as visions for the future. My own journey in the water began on the New Jersey shore when my parents brought me to the beach in my crib soon after I was born. I grew up in the water from that point on. I taught myself to mat surf and bodysurf before the age of 9. I had no mentors as neither my brother, nor my father cared much for the ocean. I lived in Orange, California with my parents and brother for one year in 1960 and got my first experience with board surfing at Huntington Beach. I was hooked. We moved back to New Jersey where I picked up board surfing a few years later when I had saved up enough to buy my first board, a Hobie longboard, from Manatee surf shop in Belmar. We lived 10 miles from the ocean, so I would either hitch hike to the beach with someone who could fit the board into a station wagon or truck, or leave the board at a friend's house in Point Pleasant and then bike it to the beach. I spent summers lifeguarding and surfing. After I got my drivers license, beach access was expanded immensely. Remember, those were the days when surfers were considered outlaws. I was nearly arrested for walking over someone's property while leaving the beach with my board. Surfing was usually done before 9 am when we would be whistled out of the water or arrested. Thanks to men like Cecil Lear, some towns along the Jersey shore are now designated surfing-only on certain beaches. There is no other experience that comes close to sitting outside the break on a surfboard or treading water while bodysurfing and looking at the shore from nature's perspective with the feelings that "only a surfer knows".